Over the past 20 years Christopher Morris has concentrated the greater part of his work on war correspondence, documenting more than 18 foreign conflicts, including the U.S. invasion of Panama, the Persian Gulf War, the drug war in Columbia, and the wars in Afghanistan, Chechnya and Yugoslavia. For the last four years he has been home, photographing the relative calm of the domestic side of George W. Bush’s presidency, on assignment for Time. 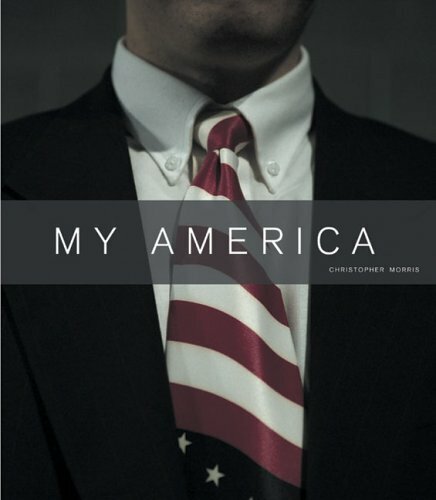 Morris describes this collection of his Bush-era work as his personal journey into a Republican America. “Hopefully,” Morris says, “you will see what I saw and feel what I felt—a nation that has wrapped its eyes so tightly in red, white and blue that it has gone blind. This is My America.” Morris, a founding member of the photojournalist agency VII, based in Paris, has received numerous awards for his work, including the Robert Capa Gold Medal, several World Press Photo awards, and the Infinity Photojournalist award from the International Center of Photography. This is his first monograph.